Courtesy of Lily H. Ling, REALTOR. Please, send me more information on this property: MLS# 46180198 – $199,900 – 10935 Hazelhurst Drive, Houston, TX 77043. Minutes away from I10, Beltway 8, Shopping stores and in Spring Branch ISD! Home has never flooded not even in Harvey. Home is being sold AS-IS, Seller just completed foundation repair with warranty. Home is updating now. will install dishwasher. Great location for the price. Lovely town home located in Hammerly Blvd, 3 bedrooms located on the second floor fully renovated by owner, low maintenance fee per month, close to Belt 8. 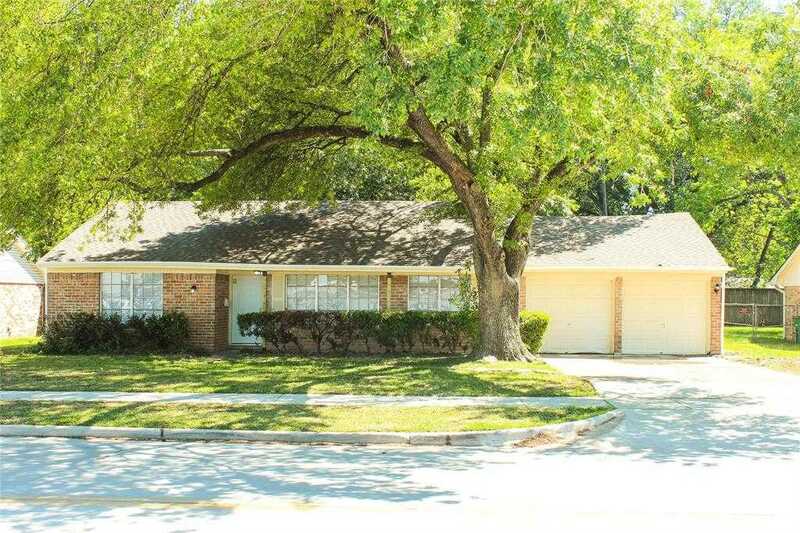 Beautifully updated 3 bedroom house near major freeway I10, 290 and Beltway8. New Granite counter-tops in Kitchen and bathrooms. All tile and wood floors, No carpet. New Stainless steel appliances. Fresh Paint. Come take a look to appreciate the beauty of this house and the excellent location. House is located in highly respected Spring Branch school district. Great, spacious, open floor concept Townhome w/3 BR 2.5 bath within Victorian Village Subdivision in Spring Branch. This gorgeous property is a Corner Unit completely updated in 2018 w/over $50,000 in interior upgrades which include: Recessed lights; Carpet in bedrooms; TRAVERTINE flooring & backsplash downstairs & BTH upstairs; wood door; neutral painting; baseboard & crown molding; high efficiency double pane windows; sliding door to patio;water heater;A/C Unit;Dishwasher;ceiling fans;barn door in Master BR retreat w/recent frameless shower;vanities & toilets in bathrooms;“aged bronze” hardware all around TH; refrigerator & full-size laundry w/washer & dryer; blown insulation.Walking distance to all School level in acclaimed Spring Branch ISD. 2 reserved carport spaces & additional parking for visitors.Grounds area includes 2 Pools, Playground and Clubhouse. Easy access to Memorial City Mall & City Centre; Beltway 8, I-10 & 290. Don’t miss your opportunity to own this great Townhome! One of a kind townhome, conveniently located minutes away from Memorial City Mall, Memorial Hermann and famous restaurants. Hardware and grocery stores are close by as well. Property faces unique styled pool with clubhouse above water level-Great for events and gatherings. New A.C unit with 10 yr. warranty- energy bill has been consistently under $60/monthly since upgrade! New roof, new granite counter-tops, new garbage disposal and new window screens. Furniture and portraits ca be negotiated. Custom glass cabinets sit atop kitchen bar. 2 built in wine racks are located around kitchen area. Extended closet space underneath staircase (4′ x 9′). Spacious and remodeled patio includes a shed (11′ x 4′ x 8′), and pergola that features grape vines and lemon trees. Patio light fixtures and chimney fireplace included. XFINITY cable included. Carpet has been professionally shampooed. DO NOT MISS OUT ON THIS RARE SALE. No flooding/no water damage. Great INVESTMENT OPPORTUNITY.